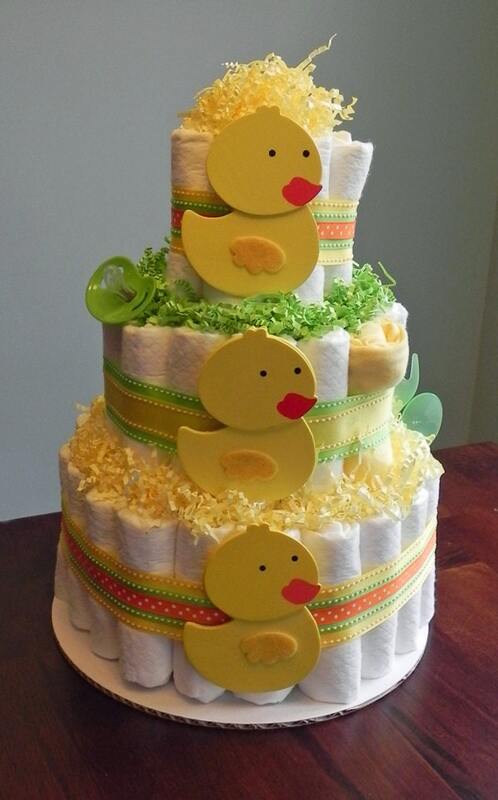 Our Three Tier Yellow Duckie Diaper Cake is the perfect gift or centerpiece for a gender neutral baby shower! Any mother-to-be will love this practical gift and all of the ingredients are usable for the new baby! 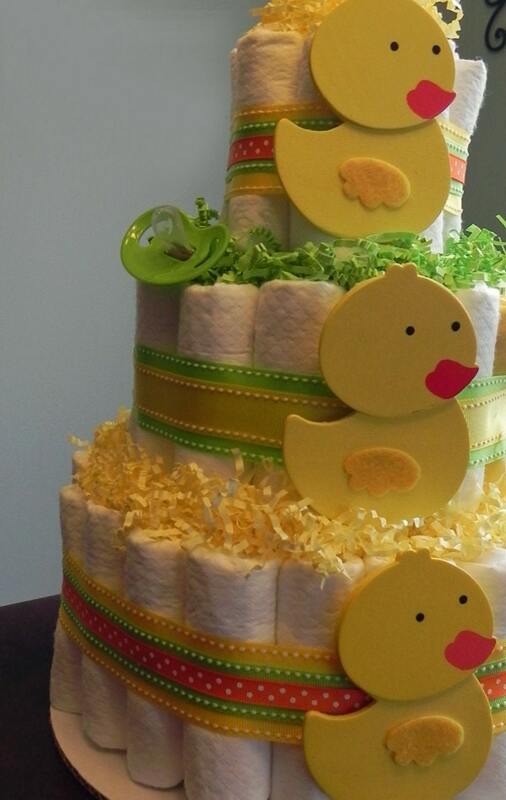 Each Diaper Cake is handcrafted, and made with TLC in the BabyBinkz studio when ordered!